Let’s start today’s #SocialSpin with a warning: you’re going to Google yourself after reading this. ​Google SERP (Search Engine Results Page) posts are pretty much out of your control. If somebody’s written a negative review on their blog, or penned a hate-filled article about you personally, there’s really not much you can do. I mean, you can ask the webmaster to remove it, but if they intended the article to be defamatory, and you tell them to take it down because it’s defamatory, you might not get very far. And you can contact Google and ask them to remove it from search results, but this takes a long, long time and might not even happen. Pushing down negative search results takes commitment, but it can be done. Getting them below the fold is a good start — get them off the first page, and you can pretty much stop worrying. Only take on sites you’re willing to use regularly (or at the very least, link to regularly). And always use the same search term. For example, if you’re trying to bury results for “Giant Jellyfish Magazine” (reusing this example from last week because I can’t think of anything sensible), always create profiles using that name. Over time, these profiles will rise to the top of the SERP posts, and will allow you to push most negative results down a bit. Pushing down review sites with high domain authorities (like Yelp and TripAdvisor) will be difficult. Instead of trying to bury your Yelp profile on Google, try to bury the negative reviews on your Yelp profile. You can do this by incentivizing reviews, begging friends and family, and not repeating the behavior that earned you the negative review in the first place. 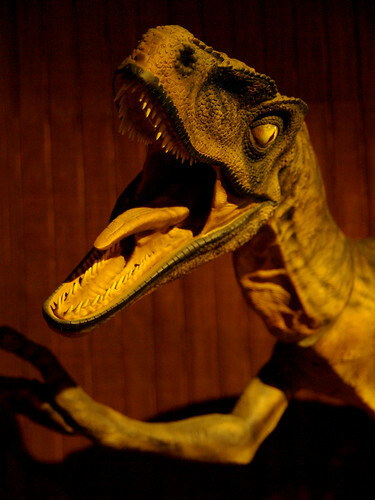 Accidentally linked your velociraptor erotica blog to your business Twitter account? Okay, you’re allowed to panic, but you can correct that error yourself. And Google will update results for that URL really quickly if you fill in this form. If you don’t, it could take months for them to update the results for that search. Don’t have time for this? Have too many stubborn results to handle yourself? Ask us. We do reputation management like no-one else, and we won’t even laugh at that velociraptor erotica blog you’re trying to bury. Well, maybe just a little bit.